"Leah Remini: Scientology and the Aftermath" premiered on A&E in November. Actress Leah Remini has been speaking out against the Church of Scientology for years. The church is once again speaking back — this time, on camera. "Leah Remini: Scientology and the Aftermath" gave A&E its biggest series debut in two years when it premiered in November. Remini is the executive producer of the series, which follows her as she meets other people who have left the church and are now speaking out against what they claim to be its abuses. Remini left the church in 2013 after 30 years. She wrote a tell-all book, which was published in 2015. "When I joined the Sea Organization, I knew that their policy was no kids allowed. If a woman got pregnant, she would instantly be scheduled to go and get an abortion," a former Church of Scientology Sea Organization member told Remini during the series' fifth episode. The show has drawn a lot of media coverage. It's also drawn strong criticism from the church, which denies the allegations asserted by Remini and others who appear on the show. The church hasn't participated in the show — it's only released written statements denying the allegations. Those statements are included in each episode. The church has also created a series of websites that appear to try to discredit the show's participants. Now, a representative for the church is speaking out on camera, accusing Remini of "making a career out of attacking Scientology." 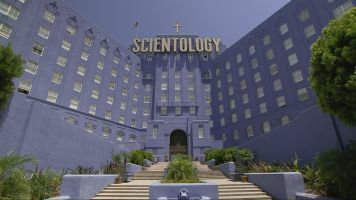 "When people espouse these kinds of lies about an organization like the Church of Scientology, it stirs up a lot of religious hatred and bigotry, and that results in people believing that somehow they have to act it out," Monique Yingling, an attorney for the church, told ABC's Dan Harris. The interviews with Monique Yingling, an attorney for the church, and Remini air Friday on ABC's 20/20.